Over the last two weeks, I’ve had the pleasure to meet some of the new families and welcome existing ones. I have also had the beautiful experience of engaging with children in the classrooms. It is a pleasure to be part of the transition weeks. On behalf of all LPA team members, we want to extend our gratitude for trusting your child’s well-being and education in our hands. It is big responsibility we hold with honor, and we take pride in guiding the children to become well-rounded citizens of the world. As a school, we work closely with the human development of all our members of our community – your children, our staff and you as parents. We count on the support of the group of therapists from Stop Parenting Alone to work on the social and emotional development side. For intellectual support, our experienced teachers have a group of consultants that work closely with them to continue teaching and reinforcing our progressive approach. Our faculty’s primary focus is cultivating the children’s analytical and critical thinking skills in a meaningful way. I’m very proud of who we are and who we are becoming as a school. We are not repeating traditional approaches to education. We continuously research the best approaches to comprehensive education that will strengthen our program. 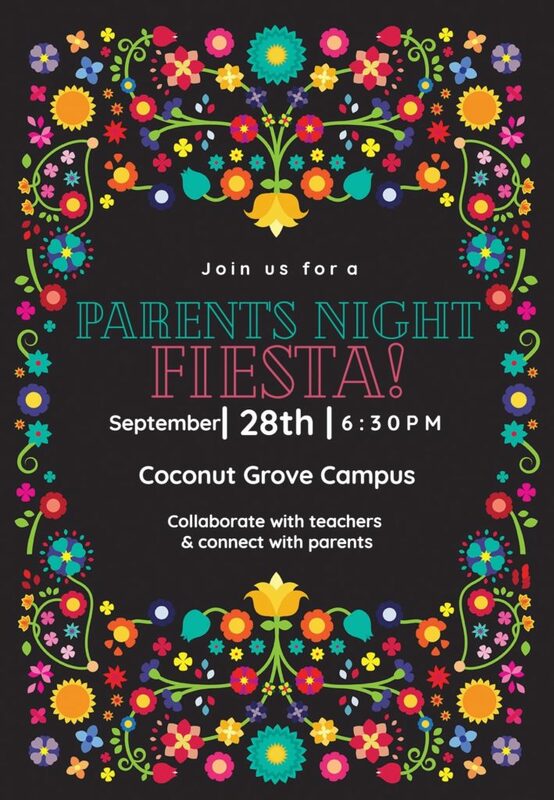 This month, we will have our Annual Parent’s Night on September 21 in Coral Gables and September 28 in Coconut Grove. Please join us for this important evening. This event is for you to intimately know your child’s school program, teachers and meet other community members that, like you, are excited to be a part of your child’s education. Join us on Friday, September 28th for our Parent’s Night Fiesta. This yearly tradition is where our families get to meet, mingle and get to know each other setting the tone for an unforgettable year! School Closed for Professional Development – Daycare is provided upon request. Coffee Talk – Our monthly Coffee Talk with Parenting Expert Lina Acosta Sandaal. Coral Gables Parent’s Night – Noon Dismissal for Gables Students. 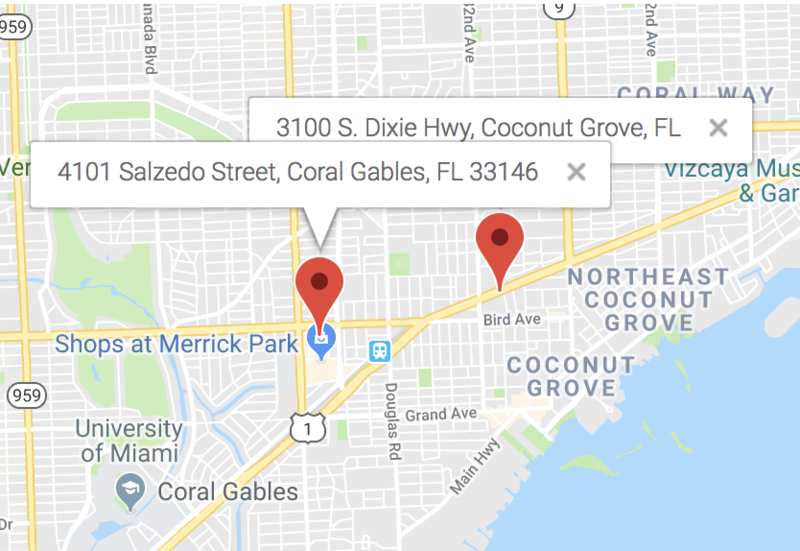 Coconut Grove Parent’s Night – Noon Dismissal for Grove Students. Grandparent’s and Special People Day – Regular Dismissal for All Students. 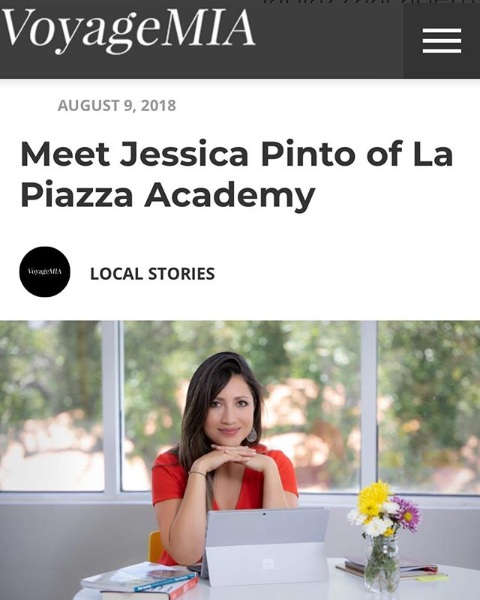 In August, Founder and Head of School Jessica Pinto was featured in VoyageMIA magazine. VoyageMIA is a publication which covers Miami’s most inspiring stories and hidden, local gems. To read her interview, please click on the image below. 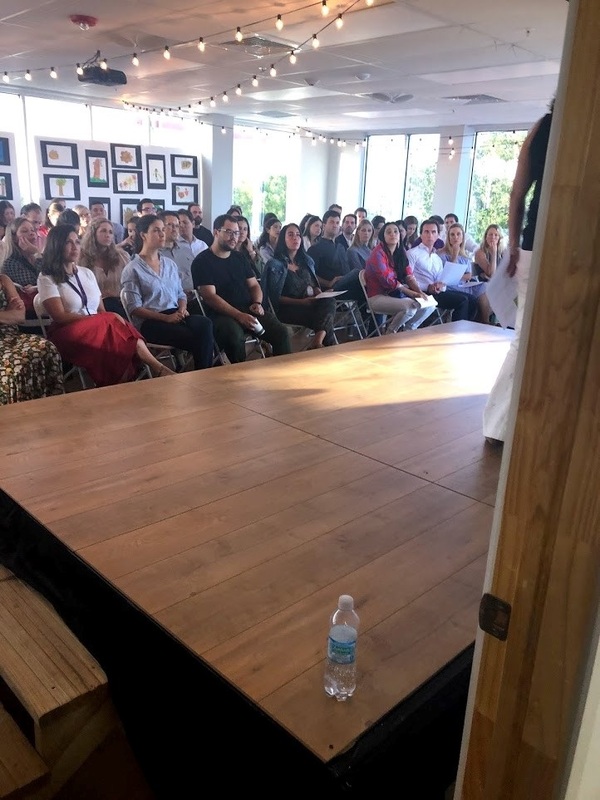 La Piazza hosted our Orientation Meeting on August 15th at our Coconut Grove campus. Our special speaker was Lina Acosta Sandaal, MS, of Stop Parenting Alone. 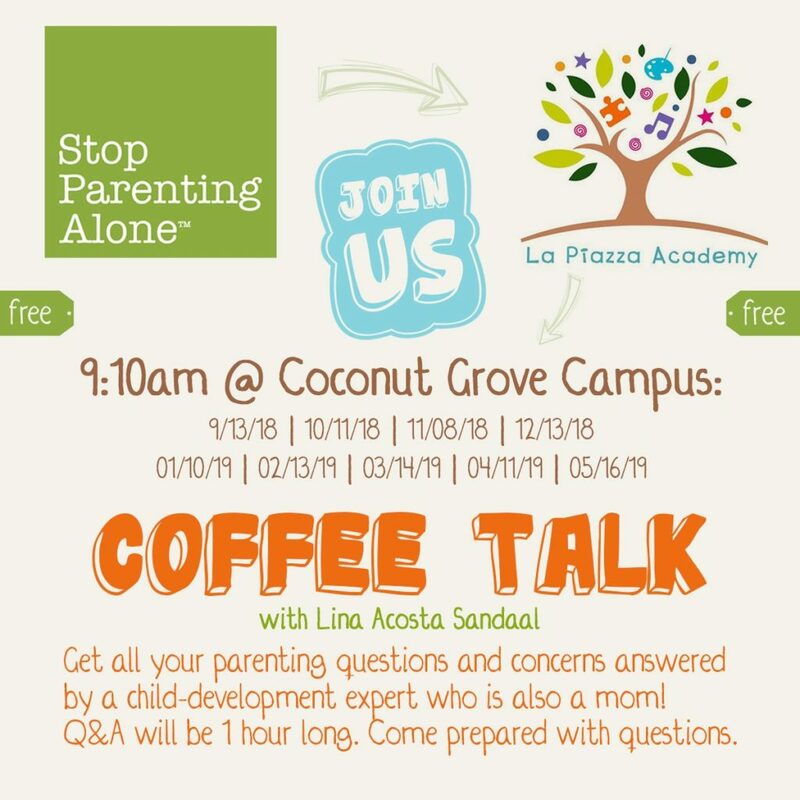 This year, La Piazza will be working closely with Stop Parenting Alone in order to provide Life Skills classes to our students, as well as monthly Parenting Q&A’s during our Coffee Talks. 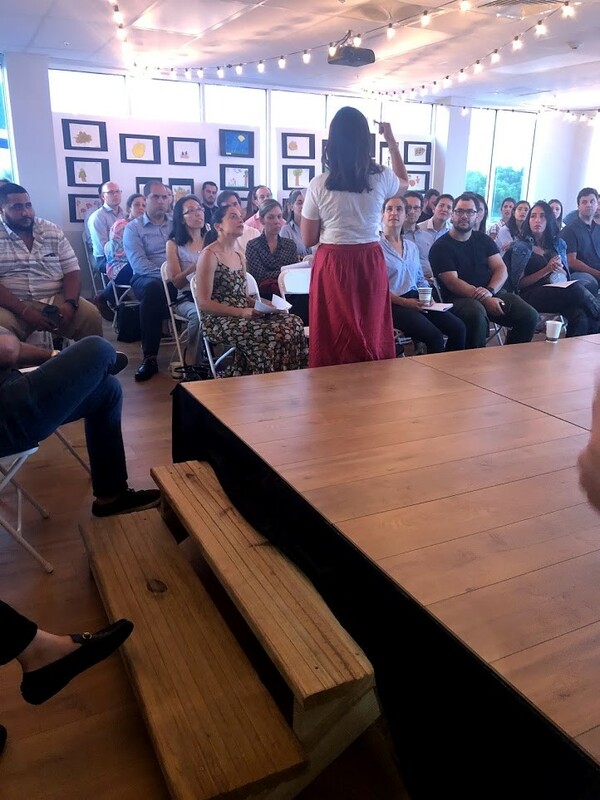 We would like to send a special Thank You to Lina, as well as all of our parents who attended the orientation. You can see a schedule for our upcoming Coffee Talks below. We know that separation is a process and does not happen overnight. Separating from loved ones and creating new attachments requires the building of trust – we are here to help! The first week of school is a transition for both children and parents. Families were invited to stay as long as their child needed in order to facilitate this transition. 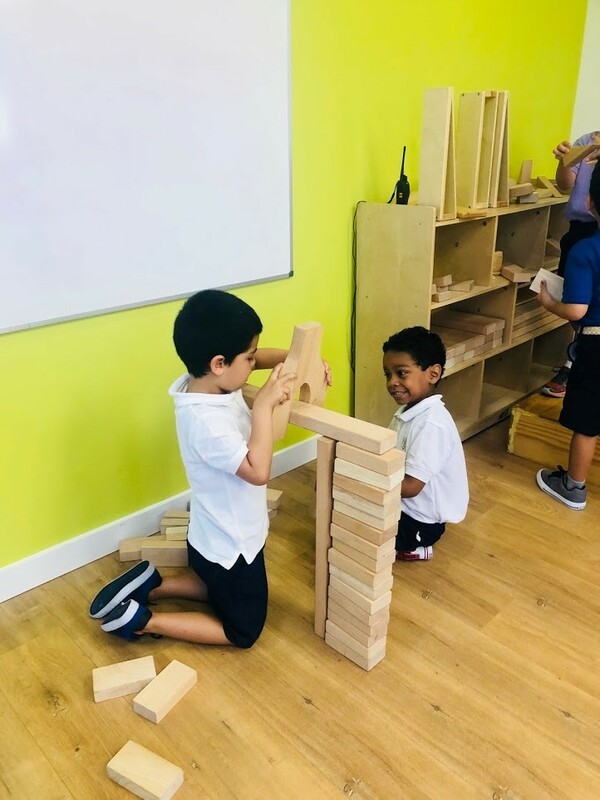 By the end of the first week, the majority of children were settling into their new routines and getting to know their new teachers and friends. ● Sign in using the email we have on file and a unique password. We would like to extend a sincere Thank You to everyone who has donated and supported La Piazza Foundation so far – your contributions are helping to make our vision a reality. 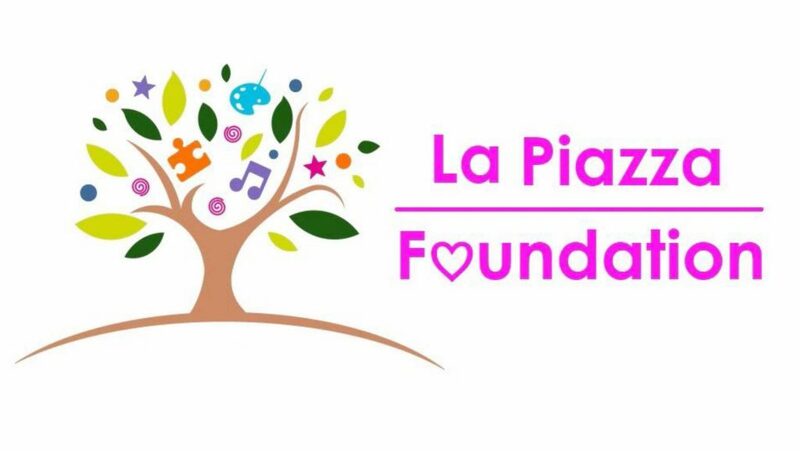 La Piazza Academy has created the La Piazza Foundation, a section 501(c)(3) public charity, with the purpose of serving children in my hometown of Manizales, Colombia. In Manizales, our contributions will make a big impact by educating a great number of children. Growing up in Manizales, I witnessed extreme poverty. Many children in this area grow up in tragic circumstances and lack access to basic needs. For these children, the opportunity to go to school is the only glimmer of hope in their otherwise bleak day. My goal is to create a dignified, stable environment for these children to spend their childhood. My hope is that they can grow to be productive citizens, and in turn, help their own community. Regardless of the circumstances a child is born into, all children deserve the same opportunities. By contributing to La Piazza Foundation, you are helping to impact the daily life of a child just like yours. Please view the below video to learn more about the children we will be helping. Join Miami Children’s Museum as we explore art through the medium of WIRE inspired by local artist, David Zalben. On Saturday and Sunday, meet David himself and create your own wire sculpture to add to our collaborative project. Click here for info. 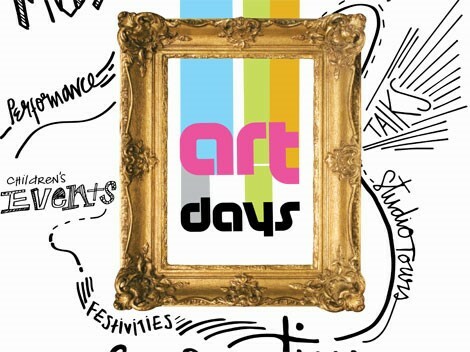 $10 admission when you show your Art Days program or app. This is Miami’s biggest annual event celebrating and kicking off the Arts Season—and it’s free. 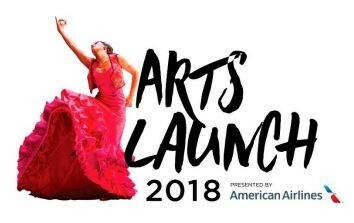 Join us for a day of fun and discovery: family activities, mini performances, a community arts village of more than 100 arts and cultural organizations, chef demos, food & live music. Click here to RSVP. Food Play is an interactive organic art experience for children ages 3-12. 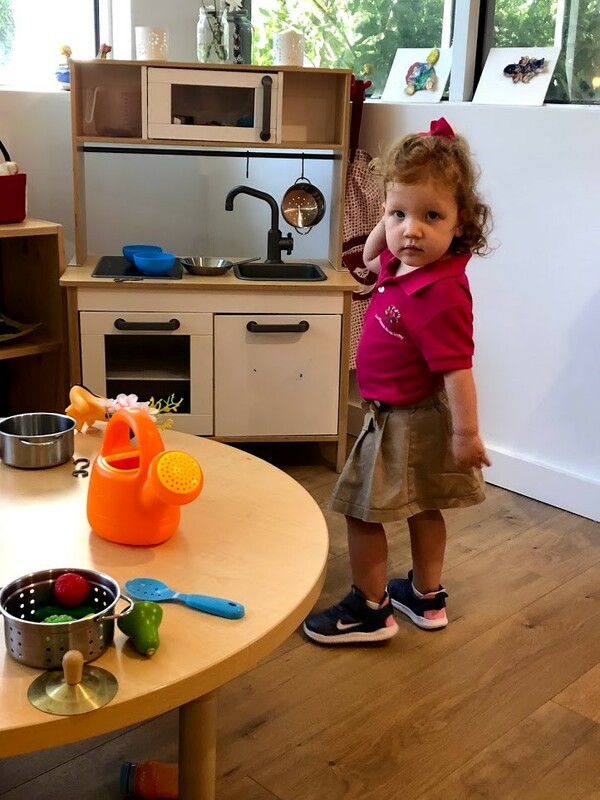 While the children are guided through interactive play, the adults will have time to enjoy lunch while watching the children or helping the children learn through exploration. 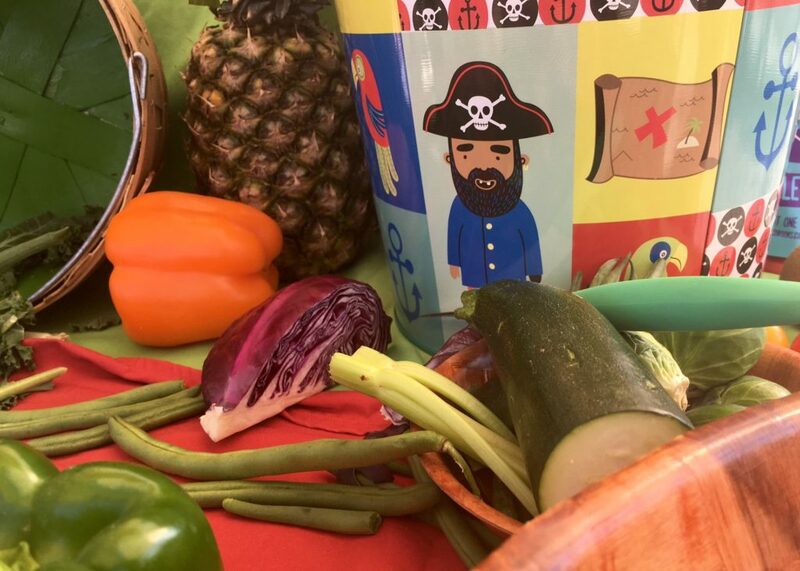 Children will be given an array of fresh vegetables of various sizes and textures, from peas and carrots to okra and eggplant, used as medium to build. They will learn about each vegetable as they discover how peels, seeds, and sprouts can be turned into capes, eyes, and hair, all while eating as they play. Click here to register. 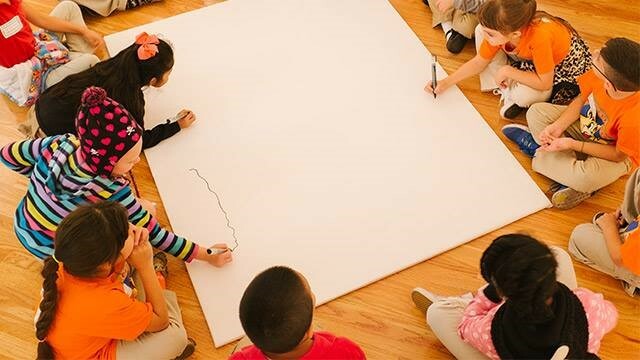 Artful Playdates provide children and their families multiple ways to explore learning through activities that promote language development, reading, and collaborative play. This event is free and open to the public. Click here for more info and to RSVP. 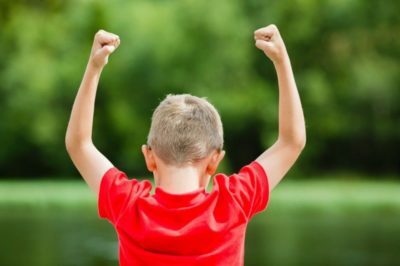 Here are the most effective ways to help your child become happy, self-assured, and successful. Download the article by clicking here. 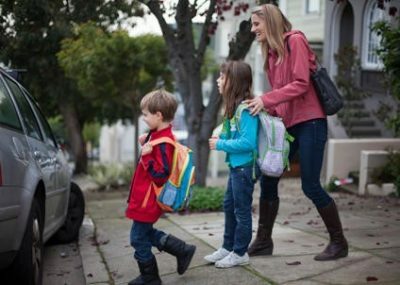 Personalize your family’s routine with help from the following ideas. Once you have a method in place, your family will start the new school year on a bright and less harried note. Click here to read more. If you are interested in posting on our newsletter, please send an email to info@lapiazzaacademy.com Please feel welcome to share information about items for sale, nanny inquiries, buying, promoting your personal strengths, etc. © Copyright La Piazza Academy LLC | All Rights Reserved.